Rolle (Switzerland), 25 January, 2013 – Zurich in Switzerland is the latest city to start operating a zero-emission taxi fleet. 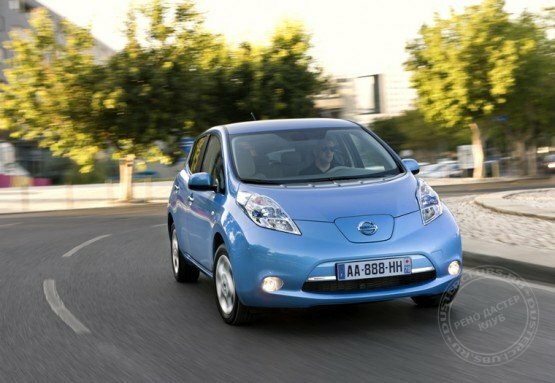 Following in the tyre tracks of Amsterdam, New York, Tokyo, Mexico City and Sao Paulo, Zurich will soon have a fleet of pure electric Nissan LEAF taxis offering rides around Switzerland’s largest city. Appropriately wrapped in an eye-popping bright green colour, the electric taxis will all be powered using green energy. The fleet will use strategically placed fast chargers using 100 per cent renewable energy from the Swiss national grid. Initially, ten Nissan LEAFs will be used as taxis in the city with a further ten joining the scheme by mid-2013. By 2015, it is envisaged that 15 per cent of the Zurich taxi fleet will be electric and that the city will boast an extensive network of fast chargers, which can replenish a depleted battery from 30 to 80 per cent capacity in just 15 minutes. As well as reducing CO2 emissions within the taxi sector, the aim of the green fleet is to demonstrate that electric vehicles are already a viable, clean alternative to conventional cars and to promote the concept of zero-emission mobility for personal transport. The Zurich Green Taxi Initiative has been pioneered by a group of young Swiss leaders who are all part of the World Economic Forum’s Global Shapers Community. Shapers are aged between 20 and 30 and all have a desire to serve society and improve local communities. The Zurich scheme was launched on 25 January by Nissan Europe and Global Shapers at the Zurich hub, during the annual World Economic Forum’s Annual Meeting in Davos. We are delighted that the undoubted benefits of a green taxi fleet have been recognised by an organisation as significant as the World Economic Forum, said Andy Palmer, Executive Vice President, Nissan Motor Co., Ltd. With the backing of the Global Shapers Community, many thousands of citizens and visitors to Zurich will be able to discover first-hand how zero emission electric vehicles cars like Nissan LEAF are ready to change the world in which we live, he added. The pure electric Nissan LEAF is already operating as a taxi is many cities across the world, including Amsterdam, where the Taxi-E company is successfully operating a fleet of Nissan LEAF EVs. LEAF is also being run by some private taxi operators, while a small fleet is being included as part of a feasibility study in New York, which is kicking off this year. An electric version of the Nissan NV200 taxi is also being studied for global taxi fleets.